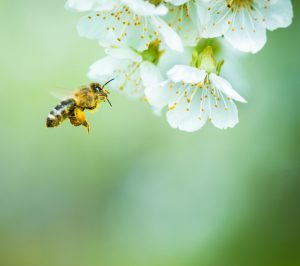 Hungry honey bees appear to favor flowers in agricultural areas over those in neighboring urban areas, says a study done by scientists with CFAES. 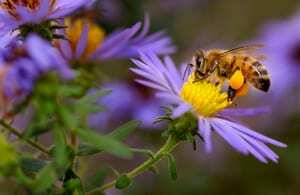 The discovery, the scientists said, has implications for urban beekeepers and challenges assumptions that farmland and honey bees are incompatible. 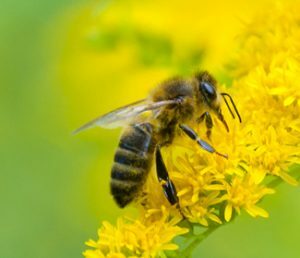 Honey bees are negatively impacted by the insecticide-coated seeds of some field crops, yet they also seem to benefit from the presence of other field crops near their hives, according to new research by CFAES scientists. Read the story. 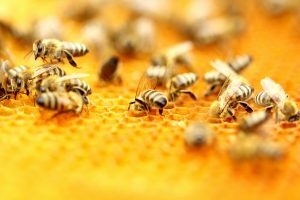 Honey bees living next to corn and soybean fields are “exposed to a surprisingly wide and concerning range of pesticides,” according to a May 31 Newsweek story about research involving CFAES insect scientist Elizabeth Long, who was at Purdue University at the time of the study. There’s a video interview, too, with the story. 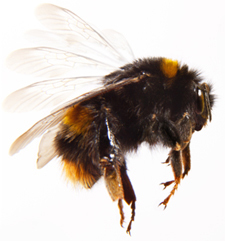 Michigan State University Extension has just updated Protecting and Enhancing Pollinators in Urban Landscapes for the US North Central Region (30 pp. ), which you can download as a free PDF here. Among the new bulletin’s six expert authors is Dan Herms, a scientist with CFAES. 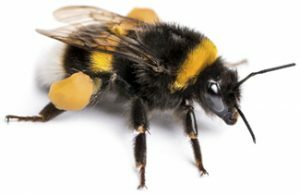 Although soybean crops are self-pollinating, some species of bee and fly pollinators can enhance soybean yields, says a CFAES researcher. 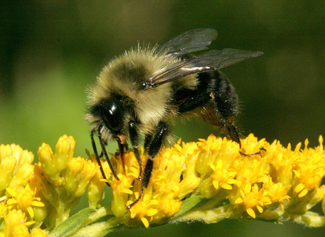 The question is, what pollinator insects are active in Ohio soybean crops? That’s what Kelley Tilmon, a field crop entomologist with OSU Extension and OARDC, wants to know. OSU Extension and OARDC are the outreach and research arms of the college, respectively.